To prepare myself for the cold, I will layer up and then do my full functional warm-up (about 10 minutes) inside before I head out to run. 2. By the end of the warm-up I am able to shred a layer or two. 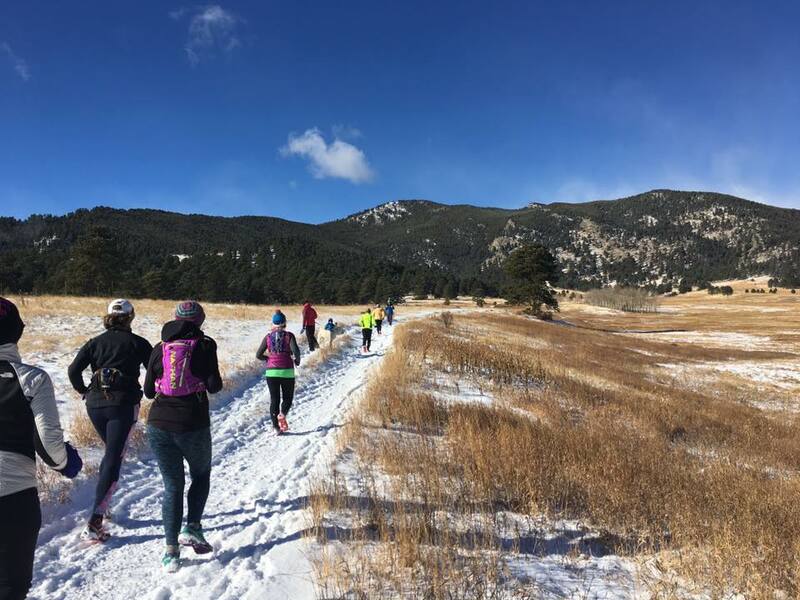 Most people wear too much when running in cooler temperatures, not considering how much they will warm up from the extra exertion of running in the snow. * Side-note: In the situation of a winter trail run, I do actually recommend using a pack and bringing more layers then you think you need. Conditions at the trailhead can be completely different than your local weather at home and the last thing you want is to twist an ankle or worse on the trail and freeze in the woods. View our winter clothing and packing checklist HERE. I like to use a car as an analogy for the body when talking about running and running form in general. This is especially fitting when talking about winter running. – Make sure you have snow tires and maybe even 4 wheel drive (shoes with aggressive tread and microspikes). – Don’t make any sudden changes in speed or direction while on ice. Slow down before you reach slick sections of the road or trail. – Keep your momentum moving forward and your body perpendicular to the slope. Focus on short, quick steps and being light on your feet so you are hitting the ground with less force and less surface area to slide. If it is really cold (I’m talking in single digits) or we’ve experienced a recent snowstorm, I like to consider my outing an “adventure” vs a run. I will put on my snow pants, high boots, buff, ski gloves and head out to accomplish whatever I can. If I am feeling especially playful I will bring along one of those flimsy, roll up sleds and whenever I see a hill will run up and then sled down it. Several friends and I coined the term for this new “sport” several years ago “slunning”. 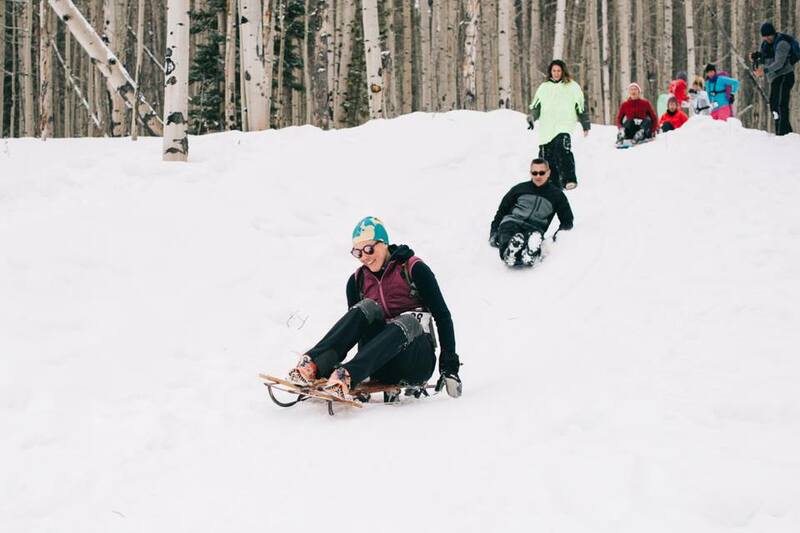 It’s actually a great workout (think hill repeats in the snow) and a ton of fun! – Lauren Jones is an avid trail runner, local event director and founder of Life’s 2 Short Fitness. 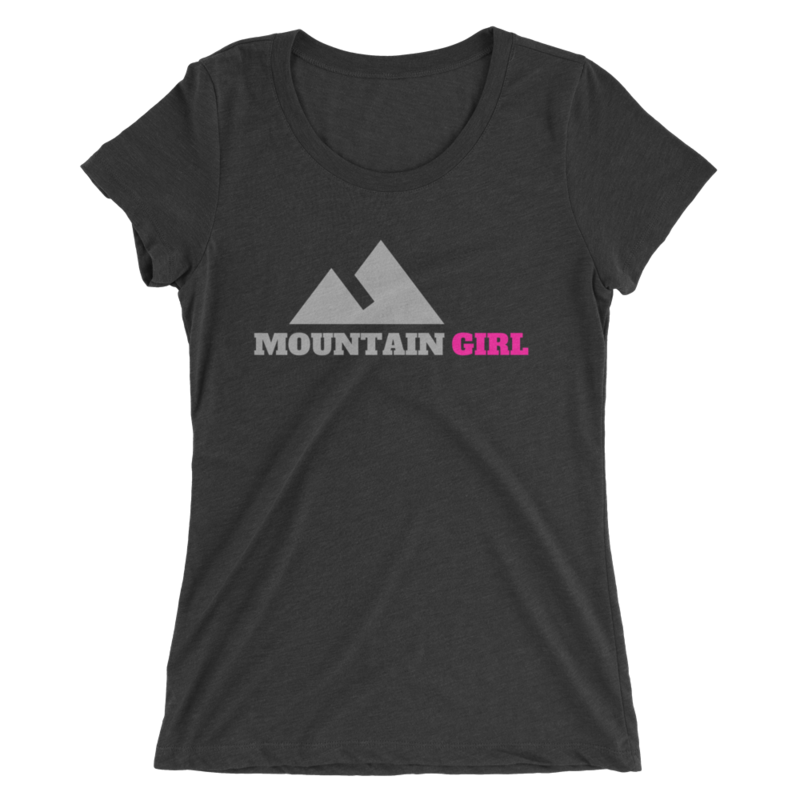 She organizes courses, clinics and workouts for adventurous Colorado women.